How do you follow up the shocking gut-punch that is Avengers: Infinity War? With a lighthearted, standalone comedy like Ant-Man and the Wasp, naturally. Ant-Man (Paul Rudd) has always been an interesting character in the Marvel Cinematic Universe. He is one of the more absurd heroes, and yet Marvel found a way to make him appealing back in 2015. Paul Rudd is excellent as the character, and he brings something to the universe that nobody else really does. Ant-Man was a good film, and I liked it very much. I don't think it's one of Marvel's best, but it's a solid movie that I definitely enjoyed. So I've been looking forward to the sequel. With Evangeline Lily now suited up right alongside Rudd as the Wasp, I thought that this one had the potential to exceed the first film. I have to see Ant-Man again, but I do think I still like that one more than this new one. 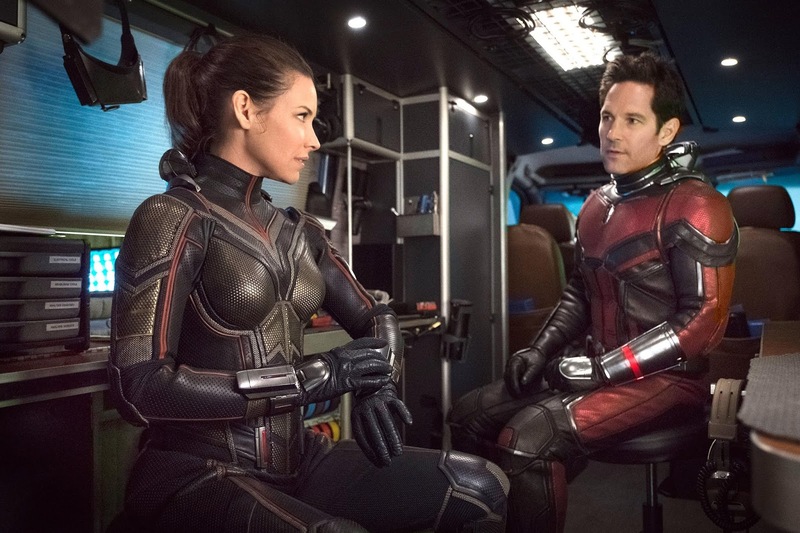 Ant-Man and the Wasp has a lot of great comedy and is immensely entertaining, though its storytelling is rather simplistic and can even come across as cheesy and cliched at times. But while the writing isn't the strongest, it's the characters and the dynamic between Rudd and Lily that really make this film succeed. 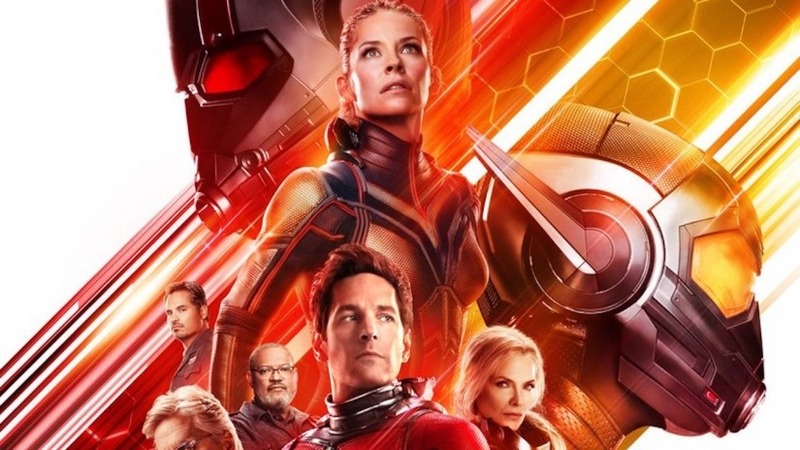 Many people are describing this film as a "palette-cleanser", going from a devastating epic in Infinity War to an action comedy with Ant-Man and the Wasp, which I completely agree with. It is also nice to go from the giant team-up movie with 40+ characters to a truly standalone story about one small group of characters. It shows Marvel has the ability to still tell these smaller stories, and that they don't have to exclusively rely on blockbuster crossover films. And I think one of this movie's greatest strengths is that it is a standalone story. You don't feel the weight of the entire universe on this movie's shoulders like you did with Infinity War, and it frees the movie to be a little more loose. Paul Rudd is once again great as Ant-Man. However, there isn't that much Ant-Man in this film. Director Peyton Reed uses Ant-Man to build up and support the Wasp, who is really the star of the movie. I think I would have been more upset by this if I didn't love the Wasp as much as I do. Evangeline Lily shines in this movie, and demonstrates just how much of a badass this character is. 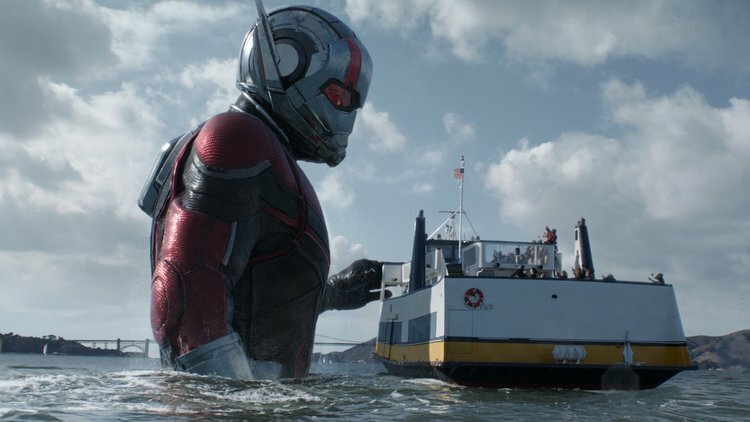 Would I have liked to have seen more Ant-Man in this film? Yes, I would have. But that would have meant screen time would be taken away from the Wasp, and I would not have necessarily wanted that. Taking time away from Ant-Man to build up the Wasp works here because, in this particular film anyways, the Wasp is more compelling character, and I think everyone working on the movie understood that. While limited, the work they do do with Scott Lang is great. It's refreshing to have a superhero who is just a regular guy. He's a dad, who's first priority is trying to be the best father possible to his daughter rather than being a hero, and that makes him unique. All of the scenes between Paul Rudd and Abby Ryder Fortson are great, as they have radiant chemistry. The storytelling is rather simplistic and predictable. It falls into conventional movie norms, which was kind of underwhelming after Infinity War just defied all of that and to defiantly be its own thing. There are points where it became kind of aggravating, because it didn't feel like we were progressing beyond a surface-level point with these characters. The emphasis is put more on the thrill and the excitement of the movie rather than having truly fleshed out characters and a complex narrative, and I'm not knocking that decision. All it means is that the film has weaknesses. It doesn't really hamper my enjoyment of the movie, but it does keep it from being a really great movie. And with Ant-Man and the Wasp, Marvel goes back to their one-note villains. Perhaps I got greedy after the Vulture in Spider-Man: Homecoming, Killmonger in Black Panther, and Thanos in Avengers: Infinity War, but Ghost (Hannah John-Kamen) is an incredibly underwhelming villain. They try to flesh her out, but it doesn't really build her character at all; it just feels like exposition. The movie would have been stronger had it had a stronger villain, but Ghost being lackluster doesn't sink the movie at all. Again, it just keeps it from being a great movie. 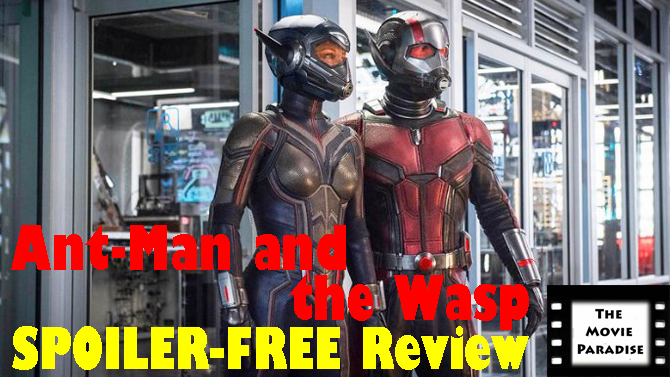 Overall, Ant-Man and the Wasp is a fun little adventure which serves as a nice escape within the Marvel Cinematic Universe after Avengers: Infinity War. Evangeline Lily shines as the Wasp, and while his role is limited, Paul Rudd is great once again as Ant-Man. It's fun to go back to a stand-alone story that doesn't bare the weight of the entire universe on its shoulders. Its storytelling is rather simplistic and it does stick close to cliches. The villain is also rather lackluster and underwhelming. But while these keep it from being a great movie, it doesn't keep it from being enjoyable and entertaining, which is exactly what Ant-Man and the Wasp is. What do you think? Have you seen Ant-Man and the Wasp? If not, are you planning on seeing it? Leave your (spoiler-free) thoughts in the comments section below.